A former lady sailor, I owned a 32ft cruiser a few years back and sailed mostly alone unless family or grandchildren visited. I still cant keep away and Captain's Blog is a favourite on utube! I want to 'test the water' again so am looking to hire a small cruiser to sail solo on the Northern Broads during March or April at a good price. I see Herbert Woods have discounts at present on some boats; Dawn of Light, Evening Light, Malvern Light, Evesham Light and Shimmering Light, but I've no idea if these would be a good or best option for a mature solo sailor. Also, it would be handy to know what other people find useful to take on hire boats in addition to what is provided. As for the boat, I would need a heating system, a bow thruster, a sandweight winch and good maneuverability. I write, so WIFI would be handy but not if it sends the price sky high. Does anyone have local knowledge or user info to help me find the right boat and boat yard at a good price on the Northern Broads? When you say "Lady Sailor", is that on motor cruisers, or Yachts?. 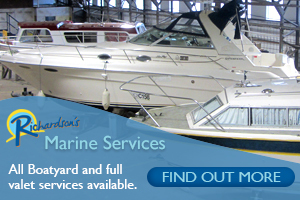 If it`s yachts, then try Easticks at Acle, or Hunters yard at Ludham, although whether you will find a yacht with an electric windlass and bowthruster i very much doubt. However if looking for a cruiser, there are hundreds to choose from. If getting back after a while, try the north rivers where the tides are lass of an issue for a solo sailor / cruiser. That said, i know some solo sailors / cruisers find it difficult to hire solo, as many yards won`t hire to them for insurance reasons. some yards wont accept solo hirers, Martham boats do, though I dont believe that any of their traditional wooden boats has bow thrusters, the best bet is to phone round the yards to see if they will accept a solo hirer first, then make a decision. I too am a solo hirer, and love the older wooden boats, so for me Martham boats are great, I have Marthams Jayne booked out twice this year. once for the forum meet in may and second time to attend the wooden boat show at beccles in August. Thanks for responding. I had a broads motor cruiser, and can understand why some yards wont accomodate. I am hopeful of a yard that would tho! Know what you say. I was used to one level, wide decks, open plan with helm to the front and doors both ends, so different thinking needs to get in gear for different boats , as you say. Hello Red welcome to the forum. Welcome to the forum Red! I was going to suggest a particular boat until I was reminded by the posts above about not being able to solo helm from Richardson's. Does anyone know which yards do allow it now? Could be useful to have that knowledge somewhere. I've not needed to ask the question but given how much people generally like Summercraft and Bridgecraft, do they allow solo hirers, as smaller operations? Ferry Marina would have some smaller size boats as well as the luxury end of the market, but I don't know if they allow you to hire on your own. 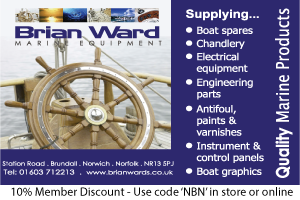 I know of Barnes Brinkcraft in Wroxham and Bridgecraft in Acle who will hire to solo sailors. In both cases you would need to ring the yards direct - not through Hoseasons. If nothing fits with them you could also try The Broads Boating Company, though I have no advance knowledge of their policy. Welcome to the forum Red. 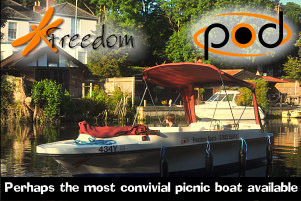 If you are interested in the southern Broads you may like to try Silverline (Brundall) and/or Freedom (Thorpe). I have a feeling they still hire out to solo boaters. Good luck with your search. Sounds good. I hope you manage to find a solo hire to your liking, do let us know what you manage to get. 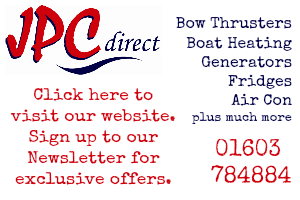 Was your previous boat on the Broads? 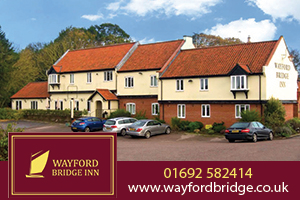 if you are staying on the North rivers, i`d DEFINITELY give Herbert Woods a call, as they do hire this time of year, one of our members, Howard, aka Norfolk Nog, is currently on one of their boats as we type. He`s not a solo cruiser, but you can`t do any worse that give them a call. And YES, they DO have bathtubs for 2, so ideal for a solo cruiser. Check out Howards thread "Quiet and Peaceful 12". Personally, I don't think that you can beat a centre cockpit cruiser with easy side access if travelling solo. With the fore and aft mooring ropes both brought together at the central stepping off point (to take ashore with you), mooring up is a doddle even in windy conditions. That is, as long as you don't take too long getting ashore in an offshore wind (as opposed to an onshore wind). A central side cleat is handy too with a short mooring rope attached, so that you can quickly secure it to an adjacent mooring post on the bank (ensuring that the boat will now stay put), whilst having thrown both fore and aft ropes onto the bank for securing afterwards at your leisure. Leaving the bank single handed in a strong onshore wind is a different matter. There's a reliable way of doing it with help from someone on the bank but it's tricky single handed. This is why I am wondering whether Ferry Marina allow people out on their own. Bronze Emblem is a great boat, so easy to handle, an absolute joy to be at the helm. And not being one of their new builds it's reasonable for cost. Alas Neil, I know for sure Herbert Woods don't allow solo hirers. Indeed they set that policy many years back, long before Richardsons moved the goal posts. 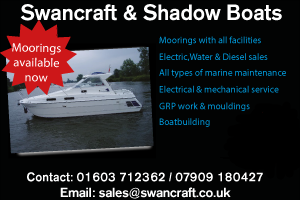 On the North Broads, as has already been mentioned, those that will hire to solos are Barnes Brinkcraft, Bridge Craft and Martham Boats. Maycraft may do for their one small boat but I've not asked them. Thanks Simon, i must confess, i did`nt know that. 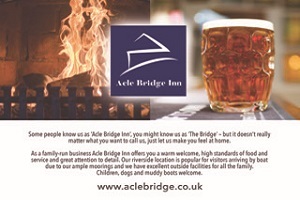 As Howard says above, I would also recommend Bridgecraft as we`ve hired from them in the past, and had great service from them. I know they`ve already refurbished and relaunched some of their fleet, and that Howard has hired from them in the winter months, so definitely give them a call. You never know, they may appreciate having the odd boat out, as this would give them more space while moving the boats around for refurbs etc.